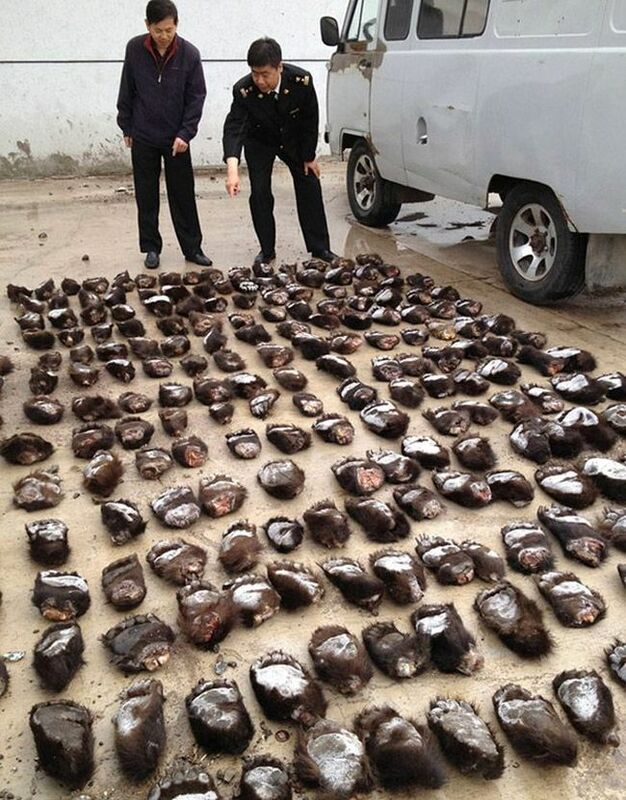 Two citizens of the Russian Federation were arrested by the Chinese customs agents while trying to smuggle 213 bear paws into China. It's just sick. 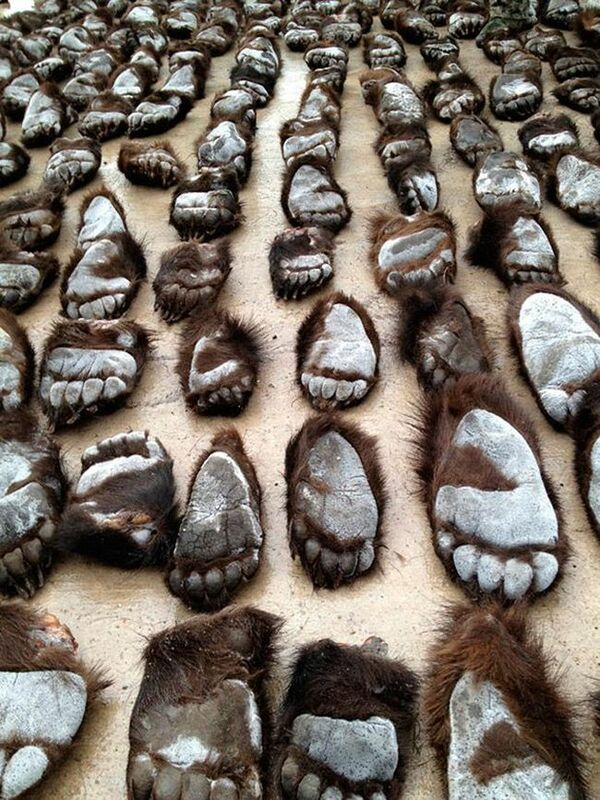 4 responses to "213 Bear Paws from Russia (2 pics)"
would it be fairly to see poacher hands among the bear paws?